A film about Young Earth Creationism called "Is Genesis History?" took the No. 1 spot for its theater debut last month and will return to the big screen on Tuesday. The film debuted in movie theaters on Feb. 23 for one night only and received "incredible audience support with sold-out auditoriums around the country," filmmakers said in a statement shared with The Christian Post. The film landed at No. 1 at the box office above all other major film releases during its one-night showing. In addition, it's per-screen average that day was also No. 1 and it topped all other titles by more than five times their average. The film's last encore screening in select theaters nationwide will be on March 7. In the documentary, Del Tackett, former president of Focus on the Family Institute, travels around the world to meet with renowned scientists, historians and Bible scholars to discuss the book of Genesis in an effort to prove that observational science can be used to confirm God's Word and discredit evolution. 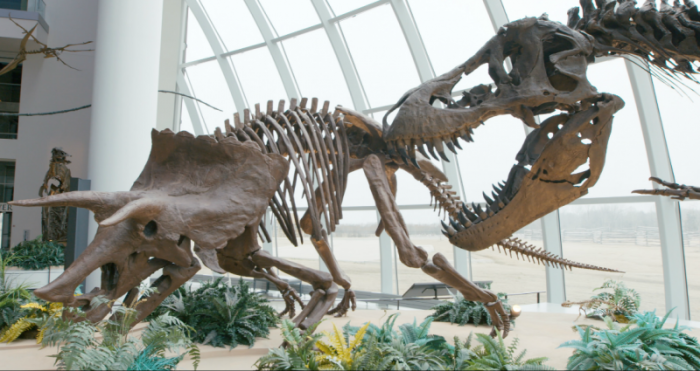 Along with Creation, the film also explores the questions and findings of whether or not humans evolved, the validity of a global flood, and what happened to the dinosaurs. Following the March 7 screening there will be a moderated on-screen discussion between Tackett and a panel of distinguished scientists and theologians about the impact Genesis has on Christians and science today. Tackett sad in an interview with The Christian Post last month that the goal of the documentary is to have people walk away from the experience knowing that science supports God's Word. "I'm hoping that people will look at the film and they would realize that they don't have to accede to the accusation that if you hold to a position of [Young Earth Creationism] of a literal historical position in Genesis, then [you are] unscientific or stupid," Tackett told CP during the premiere screening of the film at The Creation Museum in February. "My hope is that those people that want to hold to biblical truth would walk away with the confidence that there is credible evidence and there are credible scientists, that they could be sure that what God has given us is true and can hold onto that." The film will be shown in theaters nationwide on March 7. For more information, click here.